Archie and his gang -- Betty, Veronica, Reggie, and his best pal Jughead -- have been entertaining readers of all ages since his massively popular debut over seventy years ago. 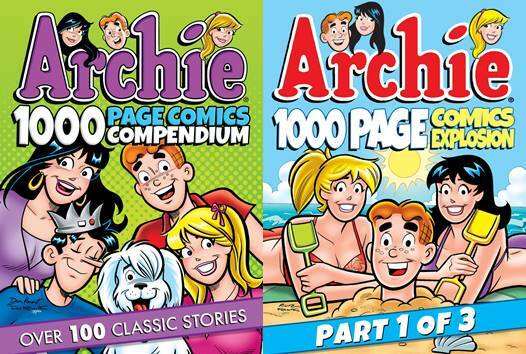 Now you can read over 1000 pages of classic Archie tales, collected in these handy, value-priced volumes! Follow America's favorite redhead as he navigates the pressures of the American teenager in the awkward, charming and hilarious way you've come to know and love. Whether he's juggling dates with girl-next-door Betty and rich-girl Veronica, competing with his prankster rival Reggie, or just hanging out with his best bud Jughead, Archie is always a delight to have around!